A high-performance premium 4WD, Tier IV compact tractor designed for light to medium applications, this is a great go-to for smaller operations. Available in 26 to 38 HP, you can get the power you need without going overboard (though that’s always an option). This tractor offers added customization options, including shuttle or hydrostatic transmission, soft or integrated cabs and agriculture, industrial or turf tires. 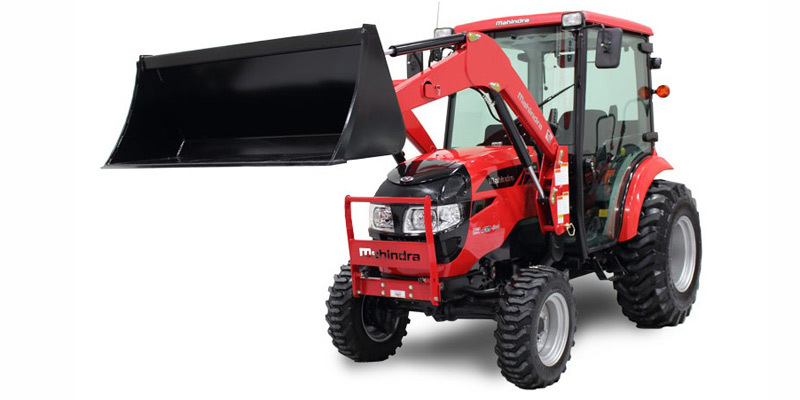 Additionally, you can easily pair our heavy-duty loaders and backhoes, mid-mount mowers, and a variety of other attachments for unrivaled versatility.